Play starts from center ice with the coach dumping in a puck. Players 1 and 2 will play a 2v2 against players 1 and 2 on the opposite team. Both players 3 will act as support for their team. Play continues for 30-40 sec. 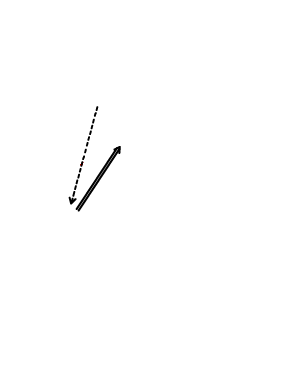 Players 3 MUST shoot the puck and cannot come down off blue line. Players will shoot on the net opposite from where they start at center ice. 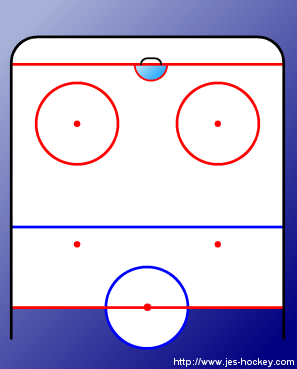 Players 1 and 2 do not have to pass the puck to player 3 in order to shoot.